OLYMPIAN GODS. LEGENDARY MONSTERS. NOWHERE TO RUN. An action-packed tale as epic as the legends that spawned it. 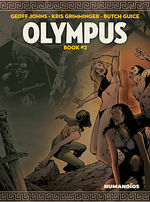 In this high-octane adventure, chaos is unleashed when a group of brash archaeology graduate students and a team of ruthless mercenaries are shipwrecked together on the legendary Mount Olympus - a mountainous island populated by the deadliest monsters known to Greek mythology. Museums, pirates, sea monsters and a cyclops? 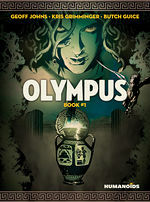 All are inside Olympus. It’s to move quickly through the ride, finding out which threat comes next on the quest.